A split heat pump consists of an outdoor condenser (the XP25), connected with refrigerant lines to an indoor air handler. Before 2018 the Lennox XP25 was matched with a Lennox CBX40UHVor Lennox CBX32MV air handler. Both of these air handlers have been replaced by the new LennoxCBA038. The XP25 raises the bar for ducted central cooling and heating systems. Those numbers are impressive, and higher than all competitor ratings! The XP25 is one of the manufacturers two Variable Speed Compressor heat pump models. The other model being the Lennox XP20. Lennox advertises this unit as being “65 air conditioners in one” because of the 65-speeds the compressor is capable of. The inverter controlled variable speed compressor delivers the precise amount of cooling needed for weather conditions at the time. It can maintain the temperature you set to within ½ a degree. Magic Touch Mechanical has installed hundreds of these units since its debut in 2015. We can attest to the fact that it lives up to all the claims Lennox makes. Our customer surveys reveal every client selects “Extremely Satisfied” when asked about the unit’s performance. Lennox advertises the XP25 as “50% quieter than a standard heat pump”, and this is another claim we can verify. Magic Touch Mechanical installed the very first XP25 in Arizona – in fact we ordered our first one before the local Lennox warehouse even had one. Our client wanted the quietest unit he could buy, which at the time was this model, and was willing to buy one on backorder and wait until it arrived in Phoenix. In reality it’s obviously not silent, but it is not a stretch to say this unit is so quiet, it’s hard to tell when it’s running without walking up to it and felling the airflow coming off the nearly silent condenser fan motor. Sound levels are measured in decibels (dB). The Lennox XP25 measures in as low as 58dB. To put that in perspective, a normal conversation measures between 50 to 60dB. In other words, you wouldn’t have to talk loudly to have a normal conversation with each person standing on either side of the Lennox XP25 heat pump condensing unit. Magic Touch Mechanical is based in Mesa, AZ a suburb of Phoenix. Those of us who live here know the old joke “but it’s a dry heat” – to which I usually reply so is the inside of an oven, but humidity control matters in Arizona too. There is a direct correlation between human comfort and humidity levels, and what most people do not realize is the humidity inside your home is not the same as the outdoor humidity. Everyday activities contribute to the humidity in your home. Things like people showering, cooking, and how many people live in the home contribute to indoor humidity levels. Well-sealed homes do not allow humidity to escape the structure, so that job is left to the air conditioner to handle. Another thing for those of us in the desert to consider is monsoon season which happens to coincide with a good portion of our cooling season. Indoor humidity levels can be even higher when it is more humid than outside. The XP25 is designed to provide excellent humidity removal. 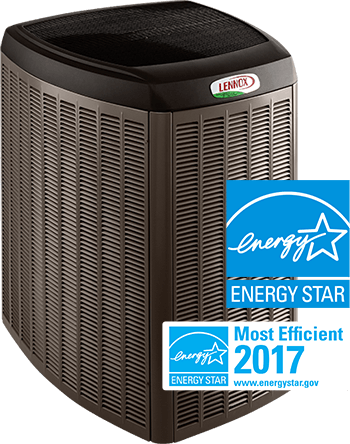 According to Lennox, this model removes approximately thirty percent more humidity from the air than a traditional single-stage air conditioner, making the air feel “lighter and more comfortable” in the summer months. The XP25 comes standard with the Lennox iComfort Wi-Fi Thermostat. This system is fully-communicating, meaning the indoor unit, outdoor unit, and thermostat are constantly sending a signal back in forth for optimal performance. For those who want to take things a step further, this unit can be operated by the gorgeous Lennox S30 Wi-Fi Ultra-Smart Thermostat, a full color beauty reminiscent of an Apple iPad. The features of this thermostat go far beyond most every thermostat on the market today, and even includes a “feels like” feature that accounts for everything from temperature to humidity to provide the ultimate home comfort experience. The “connected” and “communicating” capabilities of the Lennox XP25 allow it to adjust the air output based on current weather conditions where it is located. Lennox registered the term Climate IQ to describe this technology and it enables this mode to adjust everything from startup and run-times to humidity control to maintain perfect comfort levels no matter the conditions outside. Do your homework when a manufacturer or HVAC contractor tells you the equipment comes with a 10-Year warranty – the devil is in the details and in the fine print! Most AC and heating equipment requires product registration within the first 60 days to qualify for the 10-year warranty. Manufacturers can and do deny any registrations attempted after the allotted time has expired. 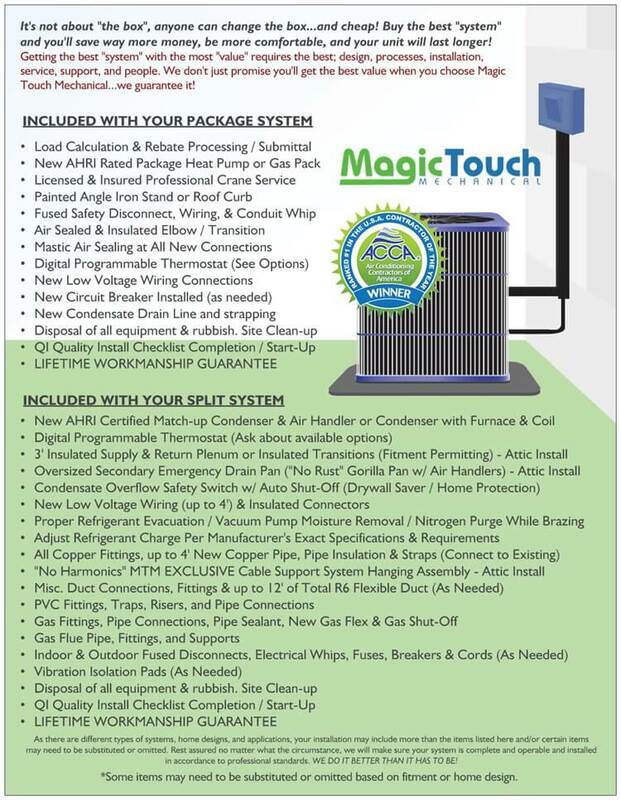 At Magic Touch, we register all of the equipment we install on our client’s behalf – but not all contractors do. Unfortunately, we have seen cases where consumers thought they had coverage but did not. Some products (even when registered) only provide coverage to the original homeowner. If you sell your home thinking the warranty of the new AC carries over, you may be wrong. In some cases, the warranty can revert to as little as one-year parts coverage when the home is sold. The XP25 comes with a 10-Year parts warranty regardless of how many times the home changes hands. You’d be hard pressed to find a worthy contender for the Lennox XP25 Heat Pump on the market today. At the time of writing this product description (2018), it is the most efficient central heat pump on the market. The only unit on the market today that rivals the XP25 in a few areas is the Trane XV20i. While not as efficient, the XV20i does have a few tricks up its sleeve that make it a worthy adversary. How Much Does the Lennox XP25 Cost? The installed cost of the Lennox XP25 with an AHRI rated matching air handler and ancillary items will quickly disqualify it for the budget-conscious consumer. Depending on what state you’re in, you can expect to pay between $9,000 and $14,000 including tax* before utility rebates. 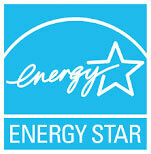 With rebates, utility participation, company sales, etc. it may be possible to save a couple of thousand dollars or more on this system.